The capaNCDT 6222 is designed for high speed measurements up to 20kHz and so is four times faster than its predecessors. The controller can be extended up to four channels and is compatible with all capacitive displacement sensors from Micro-Epsilon without requiring any calibration. 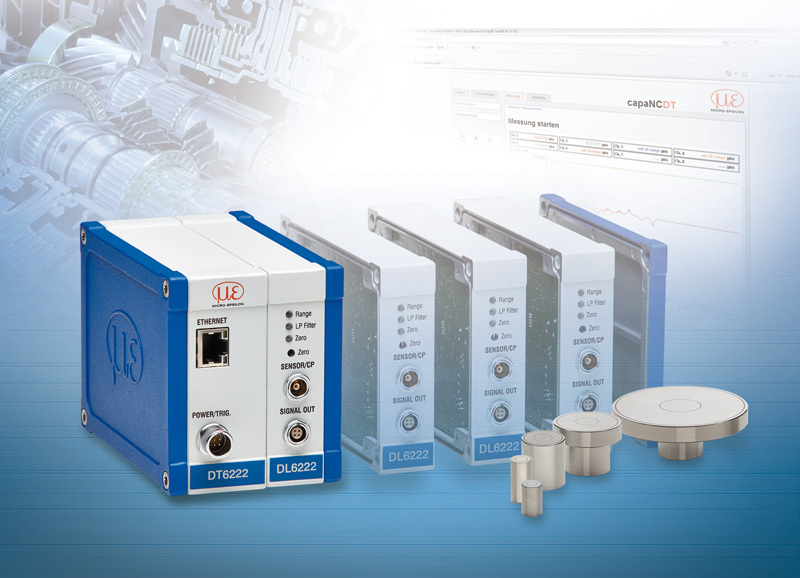 The new capaNCDT 6222 controller enables even faster displacement, distance and position measurements. The controller is designed for high speed measurements up to 20kHz and is therefore considered the fastest capacitive controller currently available in the Micro-Epsilon range. This controller is suitable for the monitoring of highly dynamic processes, e.g. shaft run out, oscillation and vibration. The modular controller can be extended up to a maximum of four measurement channels. These additional channels can be added or removed by the user without any loss of performance or operation of the software. The integrated Ethernet interface supports set up, configuration and measurements via web interface. The flexibility of the new controller is supported by various installation options: the standard product is designed as a benchtop unit; using a simple adapter allows the unit to be mounted on a top-hat rail or to the wall. All capacitive displacement sensors from Micro-Epsilon can be connected without requiring any calibration. In order to improve the accuracy of measurement results, custom characteristics can be stored. As capacitive capaNCDT sensors provide extremely stable results to nanometre accuracies, they are ideally suited to high precision applications in laboratories and for industrial purposes.